Mount Enta is an active volcano on the east coast of Sicily, close to Catania and Messina. 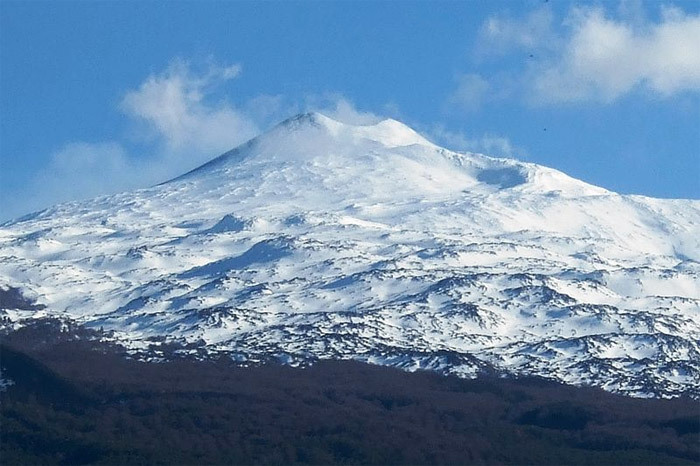 Etna is the largest of the three active volcanoes in Italy. The name Etna is originated from the Phoenician word attuna meaning “furnace” or “chimney” according to Adrian Room’s book Place-names of the World. Volcanic activity first took place at Etna about half a million years ago, with eruptions occurring beneath the sea off the ancient coastline of Sicily. Since the year AD 1600, at least 60 flank eruptions and countless summit eruptions have occurred; nearly half of these have happened since the start of the 20th century, and since 2000, Etna has had four flank eruptions—in 2001, 2002–2003, 2004–2005, and 2008-2009.